to enjoy before winter makes its way onto the scene. Beautiful flowers, Debi! I hope you sale a lot! Spring sings, Autumn hums while summer and winter provide the strings! Monroe Technology Center sure knows how to throw on the season’s blings. Hope to get my blooming pots this week! 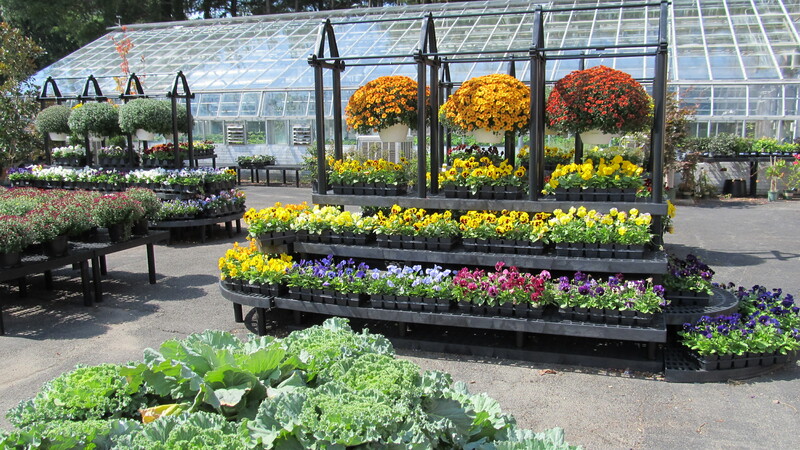 People seemed to appreciate the beautiful weather today and picking out their favorite fall plants. 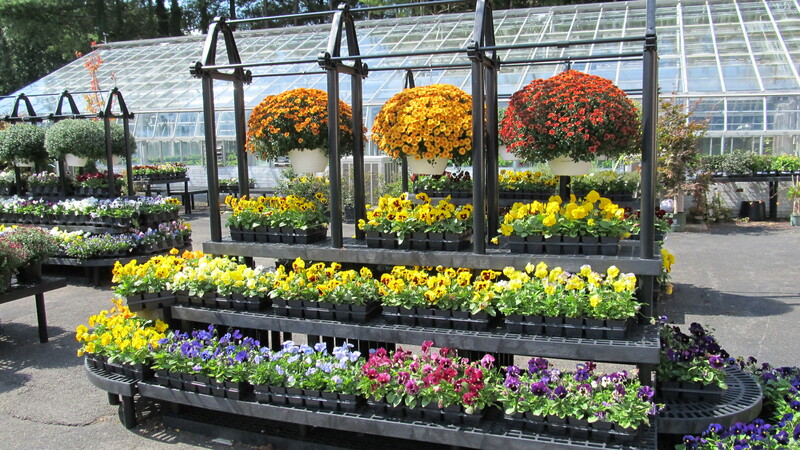 Lots of color flew out but a nice assortment lingered so others may enjoy tomorrow. What beauty God gives us for each season. Wonder if I’m like the season of autumn as that is where I find myself. Autumn hums! I sure hope so as I love the beauty of the Fall gardens and all God brings into our lives. Just humming God’s praise may turn your whole attitude of life around and then you really can enjoy each day rain or shine. The best to you at Monroe Tech on your sale. I surely miss it. Therefore I HUM! Yes Sara, thankfully,I believe that was true. 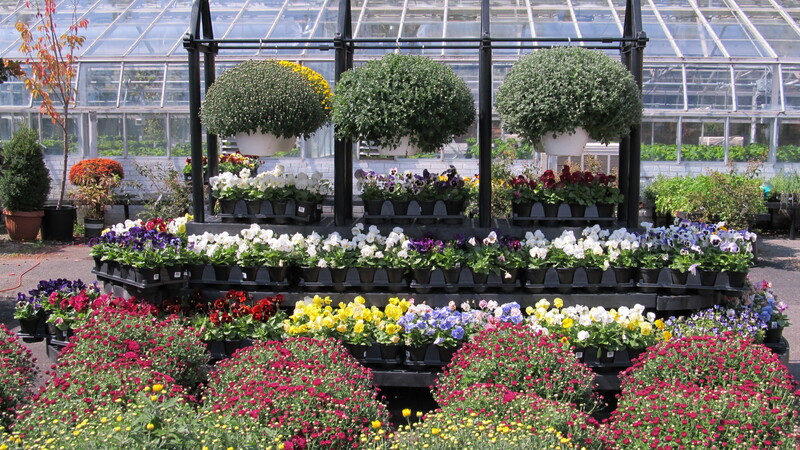 It was great to almost sell out pf plants. It was wonderful to see the smiles and watch many linger to observe the beauty of the day and the many plants that God creates…like a balm to the eyes and a touch of healing to the soul. The plant sale was great! I found my true loves…PANSIES….those faithful little fighters. They brave the wind, rain, snow and hail and keep on blooming. They are like little Christian blooms that never give up, never give up , never give up. Thanks, Debi, for the great opportunity and all the work that you do, you , your students and volunteers. Blessings on your Garden the reflection of God’s glory. Thanks for visiting us MG and supporting the students and program. Many thanksand blessings to all who participated by buying, praying, selling, working and volunteering time and energy to make it a great event for all involved.